After a very successful combination of the Dance Game community and the FGC at CEO 2018, DDR Storm is back and bigger than ever at CEO 2019. Read below for a little history on everything DDR Storm and CEO. DDR Storm was created by Joshua Campbell in January 2002 and quickly became Florida’s premiere dance game event. At first the events were smaller, only appealing to the local scenes. However, over the years it expanded to all of Florida and its neighboring states, bringing multiple communities together for fun and competition. 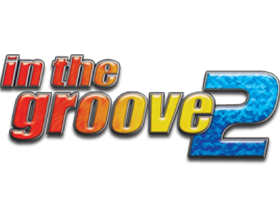 After being an established annual tournament series for over ten years, it finally reached the national level, bringing in the top players in the country and becoming one of the longest running dance game tournament series in history. However, at the peak of its success, Joshua found new passions to pursue. In 2017 Storm went on a hiatus due to Joshua being unable to pass off the event to his successor. Going into 2018, Joshua finally decided it was time to let go of Storm. It was at this point the dance game community reached out to Jebailey for advice on putting together an event which led into the welcoming of Storm into CEO, one of the largest fighting game events in the world which happens to have many Dance Game players and fans as well. The Florida members who have assisted Joshua with previous Storms will be working closely with Jebailey to run a quality dance game tournament for the entire community. If this event is a runaway success, we have a chance to be included every year. 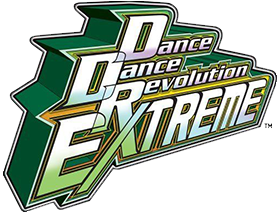 There’s no time like the present to make dance games great again, and as we all know…Time is essential at DDR Storm. Little bit of a back story on myself, Alex Jebailey, and my history with DDR for those that may not be aware. I used to go by the nickname of Guiness, after attempting the World Record for DDR on January 28th, 2002 where I played Dance Dance Revolution 5th mix for over 13 hours straight cycling through all difficulties including heavy mode nonstop. Back then, I was playing DDR ever since USA mix in the early 2000’s nearly 3-4 hours a day at various arcades in Orlando. Before I got into fighting games competitively again, DDR, ITG 1 & 2 were a big part of my life and so was the community, competing in various technical and freestyle tournaments( I even hosted a couple at Rocky’s Replay) with a few trophies under my belt (please don’t look up my old DDR videos on YouTube). While I moved on around 2007 from consistently playing Dance Games, I’ve continued to stay connected with various members of the community and with the recent expansion of CEO to a new massive venue, we have the space to accommodate the community and get more eyes on a passion just as strong as the fighting game community’s. This addition to CEO has the blessing of former DDR Storm founder and director, Tyger, so we hope to see you at CEO 2019 for DDR Storm, and please, I’m retired and old, no challenges. Now let’s get to the details about Storm at CEO 2019! These three Official Tournaments will be added to www.smash.gg/ceo2019 registration. Information on signing up, travel and lodging for CEO 2019 can be found on www.ceogaming.org/ceo. For more details on how to purchase tickets to the event, please visit www.ceogaming.org/ceo/register. Additional side rhythm game tournaments that may happen will have on site registration at the event with enough community interest. We’ll also have various dance/rhythm games such as Jubeat, Dance Maniax and more as part of our 60 cabinet fighting game arcade area labeled Jebaileyland. Qualifying rounds to seed brackets will begin on Friday (June 29) at Noon. Tournaments will run from 12 pm – 10 pm on Saturday or until Top 8 for the respective tournament has been reached. Steven Lo – VivaLaMoo, who will be the Head Tournament Organizer for DDR Storm, his email for any questions is stevenlo573@gmail.com. Additional Staff: Vincent Kim, Thanh Dang and more! PS Please shower before and after your daily Dance Game Routines.